Because your dog will be participating in our daycare activities, an evaluation is required before their overnight stay. The evaluation is a free day of daycare at Dog-Gone Fun. Please call us at 336-993-2178 to set up an evaluation day between Monday and Friday. When you arrive for the evaluation, please bring the completed Client Information form and DGF Standard Agreement (click links to download). The evaluation day allows us to meet your dog’s needs and is helpful preparation for when your dog arrives for boarding. Having already visited the facility they will be happy, eager to run and play with their peers, and familiar with the environment and our staff. You will be charged both daycare and overnight care for the day that you drop your dog off. If you pick up your dog before 9 a.m., you will not be charged for daycare on that day. *It is best to drop off your dog in the morning. This gives them the entire day to acclimate, play and become tired. This will make their overnight stay smoother and more comfortable. If you drop off between 4 – 6pm, your dog cannot be integrated into a playgroup and his first night may be unsettled. 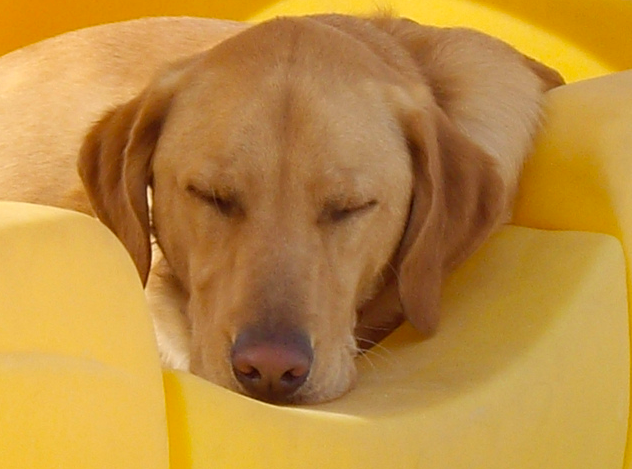 Drop off between 9:00 – 4:00 is an extra $20 charge plus daycare & boarding fees. Please see our rates page for cost information. For rules, click here. The answers to frequently asked questions can be found on our FAQ page.